The new Poly Golf course has a competitive rate structure and has completed nine holes. It is expected that the remaining nine holes will be completed by the end of the year. The following pictures show some of the holes on the course and the real estate development surrounding the golf course. The golf course is about forty minutes from the center of Guiyang by bus and faster by taxi. In Xintian Zhai in the Northeast of Guiyang a new golf course has opened. It is a beautiful place, with many new homes. The clubhouse and driving range are top notch and the course is professionally designed. Tang Xinling, Cindy, is the Marketing Manager, and if you want to golf there, you can call her at 1515261199005 for a tee time. She can help you talk to a taxi driver and give you other help. Maybe you should bring another Chinese person to help with translations. I have many friends, mostly Canadians and Americans, who claim expertise about China, but refuse to even try to learn Chinese. I now understand why. Language learning is a very humbling experience, something that many of my North American friends have trouble enduring . . . But the longer a language-learner spends on the hobby, and the greater the numbers of languages studied, the harder a simple question becomes. Often asked, it is impossible to give an easy answer: “How many languages do you speak?” The more languages one has studied and the more experience one has, the more the answer feels like “none!” I have learned to give a numerical range and a lot of hemming and hawing. Ken Hale, a linguist at the Massachusetts Institute of Technology, was renowned among colleagues for picking up languages seemingly instantly. It is said, perhaps apocryphally, that he learned Finnish on a flight to Helsinki. But he insisted that he “spoke” only English, Spanish and Walpiri, an Australian aboriginal language. The rest he merely “talked in”. Tim Doner, an American teenage polyglot (see The Economist’s multilingual video interview with him here) is much the same. A video about Mr Doner has the title “Teen speaks over 20 languages”, but Mr Doner laughingly says only that he is “very comfortable” in four or five. Anyone who has gone far in even a single foreign language knows that competence is graded: there is no magical day when someone pins a gold star on your lapel and says: “Congratulations.” It is more like driving into town and listening to a radio station that at first comes in weakly, with heavy static, and only gradually becomes clear. At what point did you start getting that station? Lacking a clear line, language-learners have all manner of ad-hoc ways of describing when they finally got it. Some will say that the day they began dreaming in a language meant that they had it. But this is hazy; dreams, played in one’s own head, say little about real-world competence. Others recall the first conversation in which they did not have to struggle; this, at least, is a better rule of thumb. Others set the bar higher: only when you understand jokes do you really know the language. This sets the bar perhaps even too high. You can communicate all manner of things without having the fingertip-feel needed for wordplay. Competence also has domains. The simplest are the staples of getting to know someone, taught in every language class. What is your name? Where are you from? Why did you learn Russian? You speak such good Portuguese! People from your country don’t learn Polish very much. Is this your first time in China? And so on. Most polyglots will have repeated these opening conversational turns a hundred times, and so the initial meeting with the delighted foreigner is bound to impress. But once the conversation goes into unexpected territory, things can go badly quickly. The reason is the huge vocabulary needed to talk about all of life’s many domains. It has been estimated that the average English-speaking adult knows the meaning of about 30,000 words, far more than most people think. A fluent speaker of a foreign language might know just a tenth of that number. This means that, a good accent, rhythm and grammar notwithstanding, the intermediate-to-advanced learner is likely to flail discussing the value-added tax, running style or camera lenses. Repeat these disappointing experiences a couple of hundred times in a life, and one becomes very cautious about casually rattling off a big number of languages spoken. Your next conversation may be a breeze, or a frustration. Perhaps it is best to imitate Mr Hale and talk about “talking in” foreign languages, or to take after Mr Doner, and merely say which ones you are comfortable in. Ziad Fazah, the man whom the “Guinness Book of World Records”said spoke 58 languages, was humiliated in a Chilean television performance. Peppered with random questions from the audience (“What is the only man-made structure visible from the moon?” in Chinese, “What day of the week is it today?” in Russian) he flailed repeatedly, in a YouTube clip that serves as a well-known cautionary tale among polyglots. “The bigger they are, the harder they fall,” applies to more than physical size. 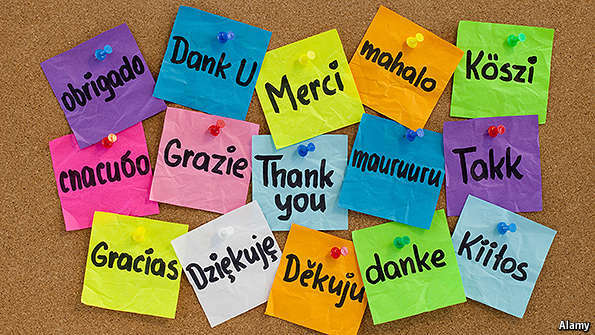 Braggarts beware: real-life language learning is a constant exercise in humility.